Fresh off a six-month break, Maine Chance home-bred Tellina marked his return to action with an eye-catching effort in his German debut for the Andreas Wohler stable. Contesting the Gr.3 German St Leger at Dortmund in the silks of Maine Chance’s German sister stud, Stiftung Gestüt Fahrhof, the Silvano gelding was held up towards the rear of the field, but made smooth progress 400m out and stayed on well to finish second, just two lengths behind the winner, three-year-old filly Near Land. This was his first outing since his unplaced run in the Gr.2 Dubai Gold Cup at the Dubai World Cup meeting in late March. 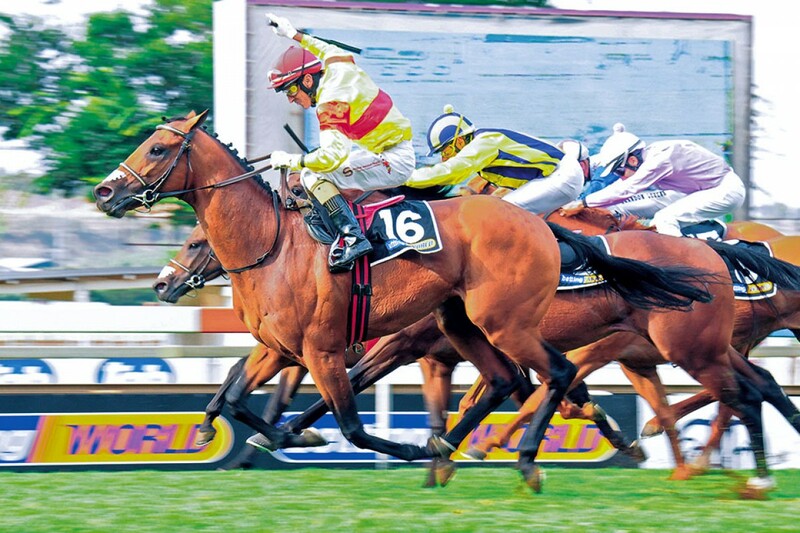 Tellina had ended a glittering career in his native South Africa as the third of a magnificent Maine Chance / Silvano trio to dominate the 2015 Vodacom Durban July. In what was a rare and unique trifecta, Power King led home his paternal half-brothers Punta Arenas and Tellina in a pulsating finish to the country’s premier racing event. The highlight of his South African campaign was a classic victory in the Gr.2 Gauteng Guineas, while he regularly reached the frame in the very highest level, notably being second in the SA Classic, the President’s Champions Challenge as well as the HF Oppenheimer Horse Chestnut Stakes.